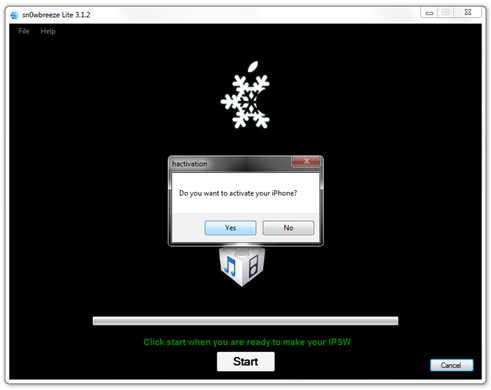 After Blacksn0w, there is a new tool to Jailbreak and Unlock iPhone 3.1.2- Sn0wbreeze. Sn0wbreeze is a tool by iH8sn0w group. Sn0wBreeze works with iPhone 2G, iPhone 3G, iPhone 3GS (non MC models only), iPod Touch and iPod Touch 3G (non MC models only). It works with Windows XP/ Vista/ Windows 7. Sn0wbreeze is a public beta and may not work properly. 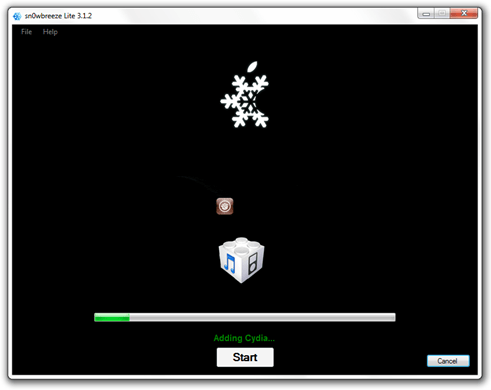 Here is a step by Step Guide to Jailbreak and unlock iPhone 3.1.2 using sn0wbreeze. 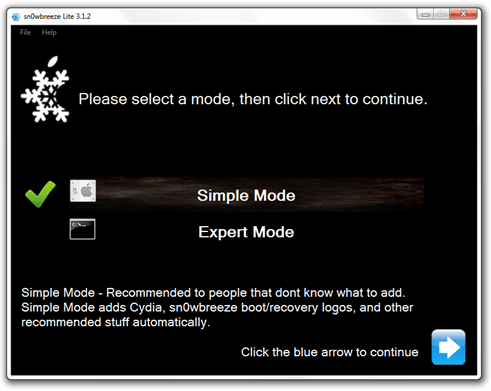 Step 5: Start Sn0wbreeze and select “Simple Mode”. Step 6: Browse for the ipsw file you’ve downloaded in step 4. It’ll verify the file. Click Next. Step 7: Click Yes if you want to activate your iPhone. Only select No if you are on officially supported network like AT&T. Step 8: Sn0wbreeze will now create the custom ipsw file. Step 9: Now open your iTunes and click on your iPhone from sidebar. Press “shift” on your keyboard and click on restore. iTunes will ask for the ipsw file. Give the path to the custom ipsw file you’ve created. Step 10: Now Relax and let iTunes complete the restore process. After it completes, you’ll have a fully jailbroken iPhone running 3.1.2. It is still not unlocked. Step 11: To Unlock, Open Cydia and search for ultrasn0w and install it. If you can’t find it, add the repo http://repo666.ultrasn0w.com and search it again. Reboot your iPhone. Great. You now have a fully functional iPhone jailbreaked and unlocked using sn0wbreeze. For more such updates on iPhone, subscribe to technoNix.com using email or join the technoNix community on facebook. Hi there, does his new jailbreak fix the 3.1.2 Iphone 3gs bootrom issue? Eg. I restart/switched off my phone and I had to re-run blackra1n every time i reboot my device. Thanks, hope I could get an answer soon. Cheers, looking forward to the tool fix:) Thanks Reshadat. Is Non-MC in reference to the model number beginning with MC for the i-Phone 3GS? Mine is MB717LL. So to better understand, is mine going to be a non-tethered jailbreak (like Blackra1n) should I use Sn0wbreeze? Or is mine considered the new boot-rom and be a tethered jailbreak? 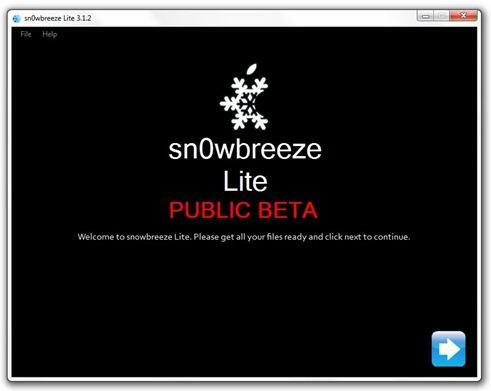 I have the beta version of Sn0wbreeze but am hesitant to try it. Correction, I meant tethered jailbreak like Blackra1n. Hi everyone I not sure if anyone has mentioned it but it you goofed and upgraded to 3.1.3 my 3gs is now jailbroken spirit is the way give it a try good luck. Ok I have Jailbroken my phone using Sn0wbreeze with no issues. I have gone into cydia and installed ultrasn0w but I my iphone is still searching for service and not recognizing my network. I know my sim card works I tried it in another phone. Any Suggestions??? I would be so greatly appreciated I need my phone back asap ..
Oh, i’ll have a try with my mobile! Oh thanks, i appriciate that! If the phone is still unlocked @step 10…how on earth am I supposed to get to Cydia? Your phone is jailbroken at step 10. so you must have cydia at this step. Then install ultrasn0w from Cydia. Well, it didn’t have Cydia the first time around. I then restarted the whole process from scratch but it stopped midway during restore citing error (2) or error (1604). I tried to work around 1604 using iREB but I can’t put my phone in DFU mode. So what do I do now, any ideas? I downgraded from 4.2.1 to 3.1.2 coz 4.2.1 made my iphone slow…& then I followed your steps to jailbreak…but while restoring with custom ipsw by snowbreeze..it showed an error 1600…now I am unable to use my iphone…plz help me out..
i had major problems using redsn0w until hours later i used this (sn0wbreeze) worked first time without any hassle so i would highly recommend this. It cured my 1015 and signal problems in one go. is in fact fruitful for me, keep up posting these types of content.